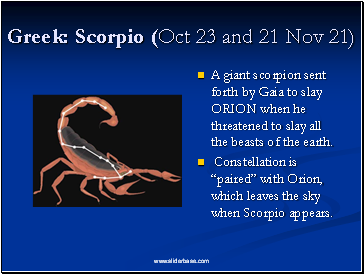 A giant scorpion sent forth by Gaia to slay ORION when he threatened to slay all the beasts of the earth. 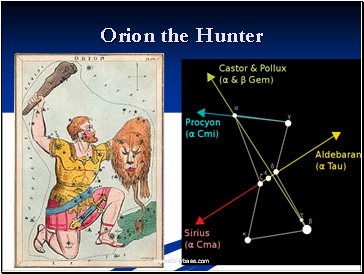 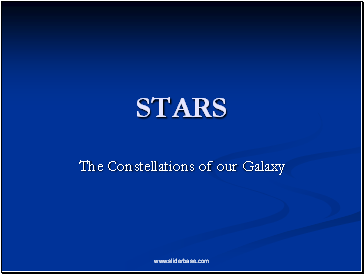 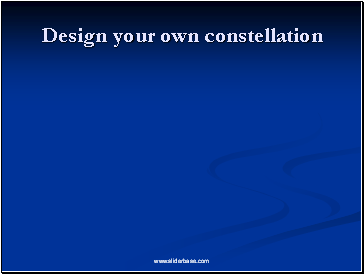 Constellation is “paired” with Orion, which leaves the sky when Scorpio appears. 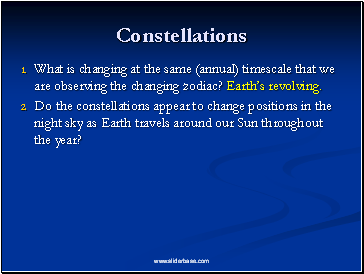 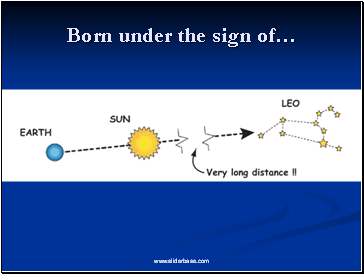 What is changing at the same (annual) timescale that we are observing the changing zodiac? 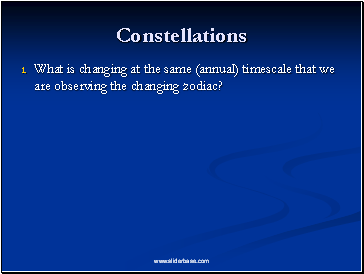 What is changing at the same (annual) timescale that we are observing the changing zodiac? 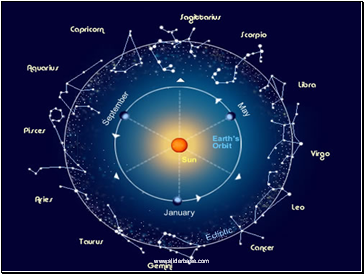 Earth’s revolving. 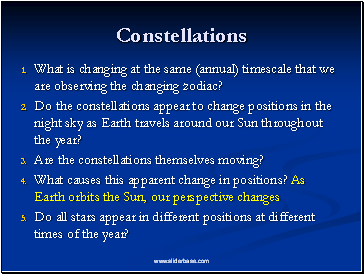 Do the constellations appear to change positions in the night sky as Earth travels around our Sun throughout the year? 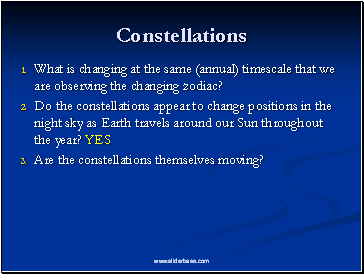 Are the constellations themselves moving? 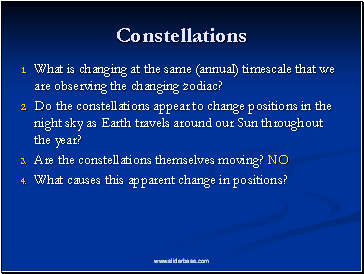 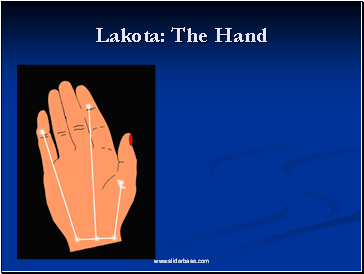 What causes this apparent change in positions?